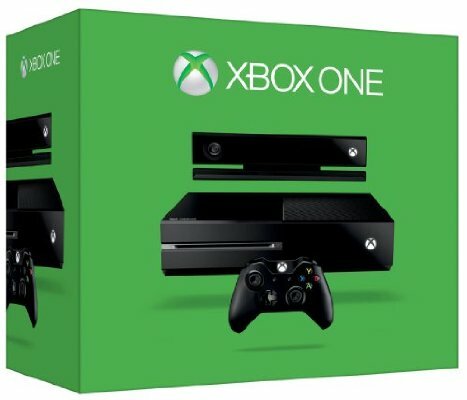 Xbox-one and latest Playstation 4 are arguably the most popular gaming console in the world right now and Microsoft has revealed that, from the market research firm NPD, the "Xbox One outsold PS 4" in the United States the month of July. 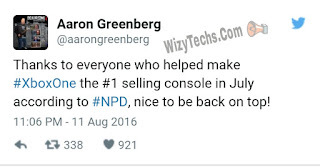 This news was made public by Xbox Marketing head Aaron Greenberg on Twitter as you can see from the screenshot below. Apart from this, Xbox still records significant number of sales. 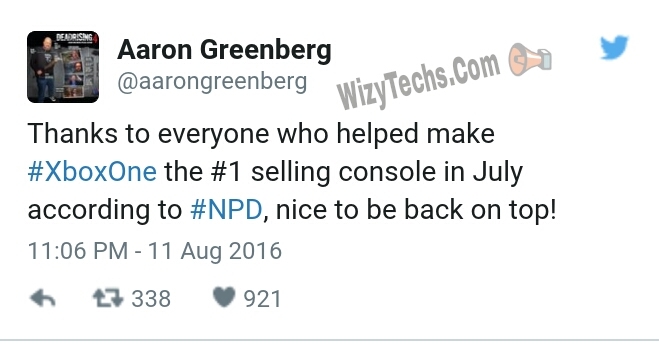 For instance, in January this year, Microsoft revealed that the life-time sales of the console stand at at-least 18 million. My younger brother was irritated all the time because of this same issue but after I consulted Best Gaming Monitor for him, he feels a lot better and believe me every single issue is solved!